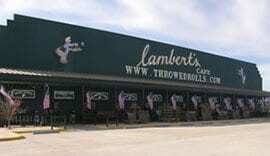 Whenever I “retire” I want to throw rolls at Lambert’s Café. 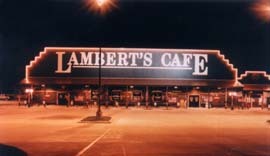 I was about 10-years old the first time my family went to Lambert’s, the original one in Sikeston, Missouri. I remember watching Norman Lambert push pans of rolls around the crowded dining room, tossing them wherever he saw raised hands. He instructed one lady to say “stop” whenever she had enough rolls, and then proceeded to toss them in rapid fire in her direction. Rolls bounced off her hands, off her plate, and off her table. She laughed so hard she couldn’t speak. 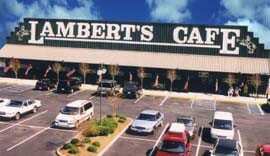 Only when the pan was empty did Mr. Lambert stop. He personally bagged all of the rolls for her to take home and then handed her a hot un-throwed roll on a plate. 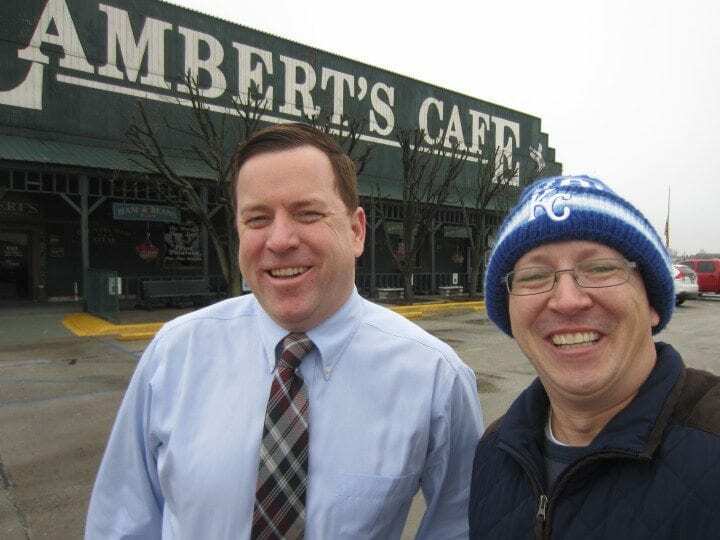 Andy is the General Manager of the Lambert’s Café in Ozark. I made an appointment to meet with Andy and arrived a few minutes early. While I waited, I spotted a beautiful decorative tin on the wall. I told Andy my story and explained this catch-playing quest as quickly as I could. I had already prepared myself for a it-was-nice-to-meet-you-please-leave-in-a-hurry handshake. Fully expecting a negative response, I had actually left all my gloves in the van. The key fob wouldn’t work and I fumbled getting the keys out of my pocket to grab a couple gloves. Under a gray sky and with temperatures barely above freezing, we tossed the ball in the side parking lot before the lunch crowd arrived. At the age of 16, Andy started as a roll thrower and worked his way up. He’s a Cardinals fan and both of his children are ball players. Andy exemplifies what I remember from my first experience at Lambert’s — good food and good people always leave an unforgettable impression. 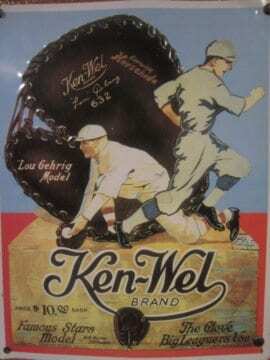 Andy, if you ever need a relief roll-thrower this year, my arm should be in good shape!